Most of the above mentioned information is not news to anyone who has read or studied any number of health food diets. However, after reading the above guidelines, I wanted to find out more about Zhang's ideas on diet for two reasons: one, I knew that his personal diet was much stricter than the guidelines listed above would indicate, and two, I was very interested in this alkaline versus acidity concept after Zhang had mentioned it to me several times during our interview. In order to discover more about Zhang's ideas on diet, I met with his student Joe Deisher to explore the diet theories in more detail. Joe told me that in order to fully appreciate Zhang Yi Zhong's study of diet, the story really needs to go back to his life in Shanghai before World War II. Prior to WWII, Shanghai was becoming, in many ways, a very Westernized city. Visiting Shanghai today, one will notice that many of the buildings that were constructed early in this century have a Western style architecture. When Zhang Yi Zhong was a young man living in Shanghai, it was popular to eat Western food, study Western science, and visit Western doctors when one got sick. Zhang Yi Zhong studied Western science (chemistry), visited Western trained doctors, and ate Western food, however, even when he was in his twenties, he was careful about what he ate. His friends in Shanghai would tease him and say that he was going to grow up to be a dietitian. Even though Zhang was careful about what he ate as a young man, his deeper study of traditional oriental diet did not begin until years later after Zhang had moved to Taiwan and had children. When one of Zhang's children was very young, the child became ill. Like most educated people in Taiwan, Zhang and his wife took the child to a Western trained doctor. The doctor could not find the source of the child's illness and could not help the child get better. The problem continued for three months and then suddenly went away. Zhang was curious about how the illness could have just disappeared. When discussing the situation with his family, his mother-in-law admitted that three days prior to the child's recovery, she had taken the child to a traditional Chinese Medical doctor. Zhang said, "How could this man cure in three days what the Western doctor could not cure in three months!" Determined to find the answer, Zhang went and visited with the Chinese doctor. What the Chinese doctor had done was simply alter the child's diet according to the theories of Chinese medicine. Prior to this event with his child, Zhang, like many of the Chinese of his generation, had written off the old Chinese ideas as being less advanced than Western science. The incident with his child and the discussion with the Chinese doctor made him wonder. At that point in his life he decided to begin studying the old Chinese traditional theories on diet and health maintenance. However, instead of simply reading about the old theories and believing them, he used Western scientific research, personal experimentation, and his background in chemistry to try and figure out why the old theories worked. He wanted to discover the underlying chemistry for the ancient dietary advice. For instance, in one source book Zhang read that "the sages do not eat the five grains." Through experimentation and research, Zhang found that the chemistry of seed crops is such that they are very energy rich. Individuals who are older, or not physically active, do not engage in the amount of physical activity that is required to burn this energy and thus they waste strength in digesting these foods. It would be analogous to running your car with the carburetor mix set too rich. Zhang discovered that for older people, or people who do not do a lot of hard physical labor, high carbohydrate food weakens the qi because of the extra energy needed for digestion. This is what the classics meant by "the sages do not eat the five grains." Zhang is not alone in his pursuit of modern day explanations to ancient dietary concepts. A number of Western trained doctors and scientists in Japan have also merged technology and science with tradition and there are many published works in Japanese pertaining to these topics. Zhang, who is fluent in Japanese, studies all of the documented results of this research in Japan that he can obtain. Zhang Yi Zhong demonstrates one of his favorite Ba Gua applications on his student, Joe Deisher believes that the internal martial arts practice aids in keeping the body relaxed, posture correct, and the mind clear while the proper diet helps maintain a biological foundation for the practice. The problem most individuals have in following a diet which is high in minerals is that the majority of mineral rich food, such as seaweed, is not very tasty. Zhang's answer to this was to study ways of preparing the mineral and vitamin rich foods so that they would taste good. He says the study of culinary arts is the same as the study of martial arts. The crude aspects of the art are easy to learn, while the highly refined and subtle aspects are very difficult to master. In martial arts it is very easy for someone to learn how to use brute force and club their opponent with their fist, however, it is not so easy to learn the refined and subtle motions and applications of internal boxing. But in the end, practice of internal boxing will be much better for one's health and longevity. Zhang is fond of using a similar analogy in the use of weaponry. He says that the straight sword is called the "sages weapon" because it takes a great deal of skill in order to be able to wield one correctly and effectively. The broadsword is called the "peasant's weapon" because it is very easy to learn how to hack at someone with a broadsword. Cooking is the same. It is very easy for someone to throw a slab of meat on the grill and have it come out tasting good. However, it is not so easy to make a meal of seaweed and raw or pickled vegetables and have it be as palatable. Zhang has learned how to eat very simply and still enjoy the food he eats. 1. Make changes gradually. Give your biochemistry time to adapt. Life tends to be a conservative phenomena; don't hurry, don't hesitate. 2. Begin thinking about food and eating: Do you eat to live or live to eat? Do you eat for your palate or your stomach? What are the internal and external consequences of what you eat? Do you eat for your bones? your brain? your consciousness? your beliefs? 3. Abandon eating chemicals. Eat organically. 4. Make sure your water source is clean and mineral rich. 5. Move away from eating meat, fish, and animal products (milk, eggs, etc. ); protein and fat are way over-rated as dietary necessities. 6. Include sea vegetables in your diet and whole sea salt for flavor; there are no better sources of organic minerals. 7. Breathe as though your life depended on it; deeply, unhurriedly, steady. 8. Recognize fruits as entertainment for the mouth, they are mostly sugar and water. Zhang Yi Zhong with began his practice food value. 10. Eat lightly, live lightly. 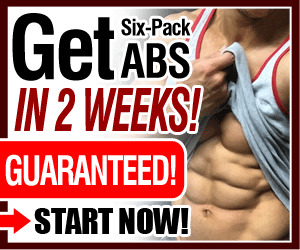 Fleshy bulk, be it muscle or fat, is a burden to the qi. An article about Zhang Yi Zhong would not be complete without discussing his relationship with his long time student Joe Deisher. They have been together for nearly thirty years, all of Zhang's instruction in the United States since 1979 has been through Joe Deisher's translation, and, true to Zhang's teaching, Deisher has taken what Zhang has given him and explored it on his own terms, arriving at some very interesting theories of his own about the relationships between internal arts practice, the mind, the emotions, culture and lifestyle. In this section, we will discuss Zhang's history with Deisher and then talk about some of Deisher's interpretations and explorations of Zhang's teaching. 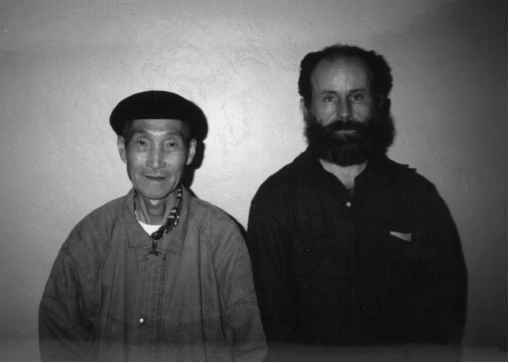 Joe Deisher and Zhang Yi Zhong met in Japan in 1967. Deisher had moved to Japan in 1964. He went there specifically to study the game of Go and learn Aikido. Deisher had been a math major in college and the mathematical strategy of Go intrigued him. He had not studied Aikido prior to going to Japan, but what he had heard of the art gave him an interest in pursuing its study. One of the things that drew him to Aikido was a quote by its founder, Morihei Uyeshiba, which stated, "'If you cannot keep an open heart when a person is swinging a sword at your head, you will not be able to cope with him." 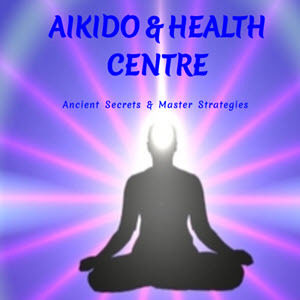 The meaning of this quote is that Aikido is an "open hearted" self-defense system. While Deisher was in Japan he taught English two hours a day, five days a week to make enough money to support himself. He also studied the Japanese language along with his study of Go and Aikido. He eventually became very proficient in the language, earned a black belt in Aikido, and earned a similar "dan" ranking in Go. 1967 Zhang invited him to practice. Deisher says that Zhang began the instruction with a set of basics such as simple standing and arm swinging exercises (moving from side-to-side while rotating around the body's center). He said that the standing practice was first performed with the arms hanging down by the sides. Deisher says that Zhang believes that a beginner is not ready to assume the standing postures which involve holding the arms up; they will always hold too much tension. Zhang starts beginners with the simple standing practice while the arms are relaxed so that they can learn how to relax the body and explore the skeletal structure while holding the correct body alignments. After a set of simple basics, Zhang moves his students directly into the Chen Pan Ling Tai Ji form. However, every class began with at least ten minutes of standing meditation. I asked Joe Deisher why he wanted to study from Zhang Yi Zhong. He already knew some Tai Ji, he was already studying Aikido, why learn something new? Deisher said that it was not the form that he wanted to learn from Zhang, he wanted to study with Zhang because he was impressed by the man. He was impressed by Zhang's kindness, righteousness, open heartedness, and self-discipline. Deisher said, "Zhang was living a disciplined life, living with the correct attitude and teaching by example, not preaching at his students. He treated everyone with kindness, even those that came into the school to challenge him. He had the openheartedness which Uyeshiba spoke of in his quote about Aikido. 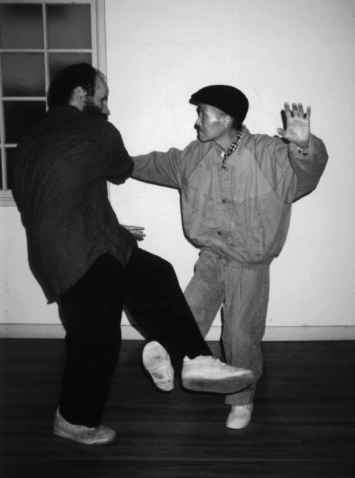 Whenever he demonstrated an application of Tai Ji, whether it was during a challenge, or to a student, Zhang would create a situation which clearly demonstrated that the opponent was open, he would make the connection, but he would never apply enough power to injure the person. It was his kindness and righteousness that attracted me to him." True to the teaching of his tradition, Joe Deisher has not only taken from the art which he studies, he has given back to it as well. 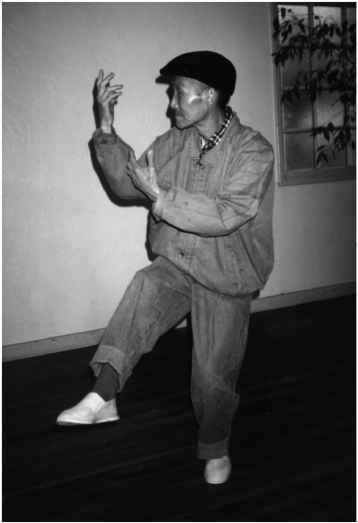 He explains that Chen Pan Ling and the group which developed the Nanjing Tai Ji form were able to take the essence of proper physical structure and naturally efficient body motion and synthesize it in creating the Tai Ji form. Zhong Yi Zhong took that physical knowledge and added to the transmission by diligently researching and passing along his ideas about diet. From this base of knowledge, Joe Deisher has moved on to explore the emotional energetics of internal arts practice. Like his teachers exploration of diet, Deisher has studied and continues to study the dynamics of emotional energy and its relation to physiology. Deisher says that through the self-cultivation and self-management process of the internal martial arts, a person can learn take an emotional state, be it fear, anger, joy, sorrow, grief, etc., and use the energy of that emotion to energetically charge the body instead of energetically deplete the body. The key is in recognizing that the emotion is an internal energy state and not try and attach it to an external object. If you say, "I feel angry because . . .," it is a mistake. You are then attaching your emotion to an external object. Deisher recommends that people learn to stay with the emotion long enough to convert the energy into a positive thing. The tough part is learning how to stay with the emotion long enough to convert the energy state. People tend to want to look outside to attach or blame the state on something external, that is the easy way out. The hard way is in looking inside for the source of the emotional state and transforming that state into a positive energy. Learning how to cultivate oneself by looking internally and developing internal awareness during martial arts practice is a way to begin the energy transformation process. Deisher has a very wide ranging view of the benefits of internal arts practice. He sees this practice as a way to develop the spirit, increase the fields of imagination, provide a basis for cultural advancement, and offer a lifestyle philosophy. He says, "In this country, we have educated people, but not a traditional culture. People cannot survive long without a culture. What we have developed in the place of a traditional culture is a culture by coercion. Ours is a culture based on controlling people by scaring them into doing the right thing, this is not the way to produce a smooth and functional society. What is needed is a philosophical base that will help people loose their fear." Deisher continues, "A lot of things in life you have to figure out for yourself. You provide your own answers to your lack of knowledge from your philosophy. If there is no philosophical base, no root, no stable reference from which to make decisions, people can feel as though they are lost." Deisher believes that the Daoist philosophy and approach to culture can work in our country because it is clean enough that it can be presented without entanglements2. The internal martial arts and its accompanying philosophy can provide a stable reference from which people can make decisions and gain experience. Deisher says, "If this stuff works on a battlefield, it will work anywhere." He continues by saying that, "If you have a root, you can absorb the pushes and pulls of everyday life. You will have slack, cushion, play, and flexibility. 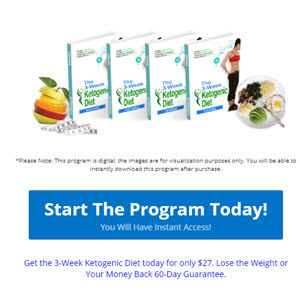 This applies to the physical body, diet, and lifestyle." As an example Deisher said that if you maintain a balanced and stable diet and there were an occasion where you did not get something to eat for a period of time, the stability of your healthy body would allow your body to continue to function normally until you got something to eat. You would not be susceptible to the wide mood swings experienced by people who have an unstable diet. In closing my interview with Zhang Yi Zhong, his last comment was, "Paradise is within us." He explained, "Thinking belongs to the earth element. The "Yi" of Xing Yi Quan relates to the earth, the stomach, and the spleen. If my thinking is correct and I accept natural things, then my stomach is clean, my thinking is clean. If I eat correctly, my visceral earth is also clean. A place of earth which is clean and pleasant to live is paradise. The good earth (paradise) is in oneself; in one's thinking; in one's stomach. You do not have to go to China or India, eat cleanly and think cleanly and paradise will be inside of you. A pleasant place to live is in me. I don't have to go anywhere." 1) The Nanjing integrated Tai Ji form, also commonly known as "Chen Pan Ling's Tai Ji." Was developed by a group of Tai Ji instructors who were teaching at the Nanjing Central Martial Arts Academy and its associated Provincial schools. The Central Academy had instructors from all of the major systems of Tai Ji on their teaching staff. However, they did not want the students to have to learn all of these various styles and forms as part of the curriculum. To solve the problem, they brought all of the instructors together to create one form which integrated the various characteristics of all the Tai Ji styles. Chen Pan Ling was one of the individuals who helped create the form. This form incorporates the rough outline of the Yang style, the small frame of the Wu style and the characteristic twisting of the Chen style. 2) The Daoist which is referred to here is the philosophical Daoism of Lao Zi. This Daoism does not have the ritualistic and ceremonial entanglements of the religious, folk, or pop Daoism.